I will hold my hands up right now and admit that I'm a pretty disorganised person. I'm that person who writes everything on scraps of paper and ends up losing them. 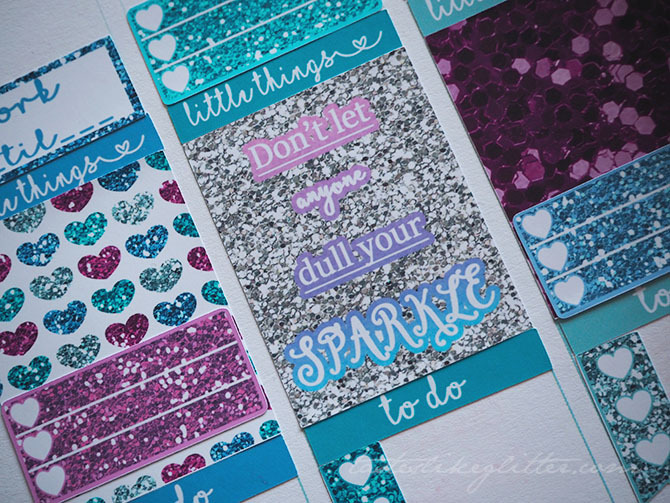 So starting this year I decided to get that under control and become more organised, not just in my day to day life but to help with the blog too. 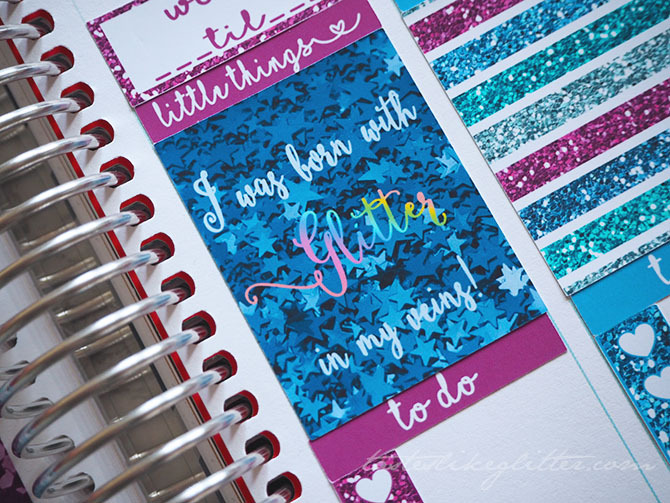 I will have a whole separate post on my experience with the Erin Condren Life Planner. 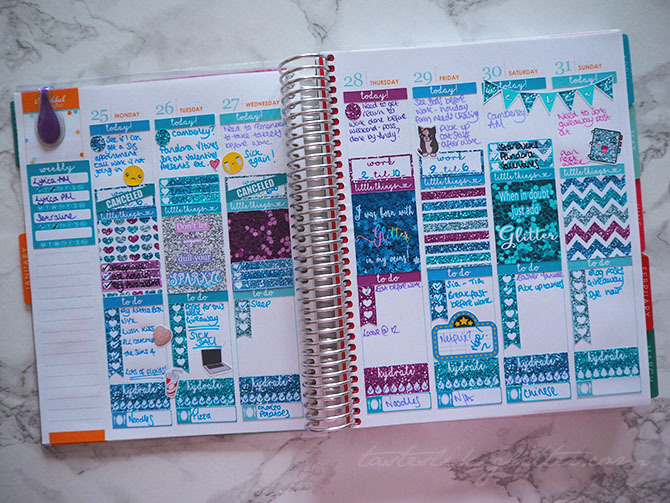 I don't know how I came across but there's a massive planner community over on Instagram and Etsy. When I was messaged by the lovely Melissa on Instagram about working on a limited edition kit together, I was over the moon. I had the chance to create the perfect weekly kit with all the elements I go for. Running with my blog name I decided to opt for a full on glitter theme but without any of the mess that it usually leaves behind. Working together with Melissa was a breeze, even after finishing this project she was extremely helpful and quick to reply to messages regarding my orders. The stickers themselves are weighty, in the sense that they aren't flimsy and printed onto extremely high quality sticker paper. 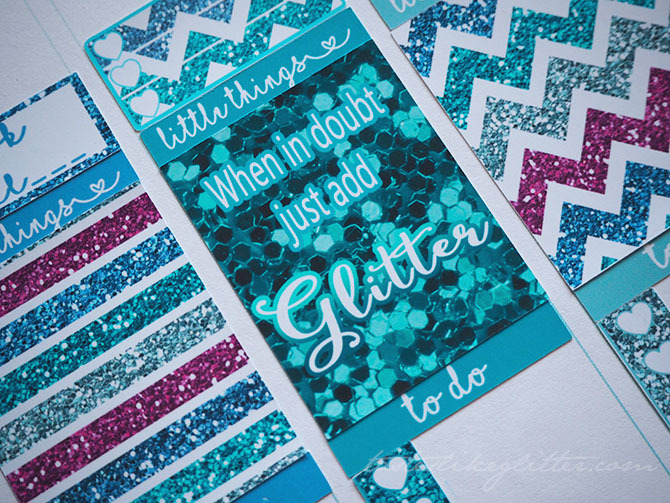 Glitter is a hard one to capture in images but the images we opted for translated fantastically during the printing process. The kit itself has over 150 stickers, which I've detailed below. That's enough to create the perfect week and still have stickers left over. Overall I've had nothing but brilliant customer service from Melissa on both her Instagram on small things, such as queries on what she's posted. Along with private messages regarding orders I've made. She's a lovely girl who runs a fantastic shop, full of weekly kits that are really great value for money and contain everything you could possibly need for a weekly layout. 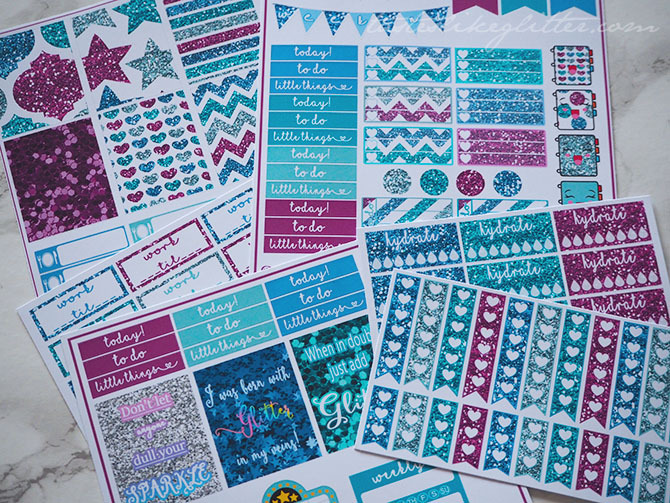 I cannot recommend the Plannable Designs shop highly enough.